Grammy Award-winning songstress and multi-instrumentalist Rhiannon Giddens and Italian jazz maestro Francesco Turrisi take you on a musical voyage of discovery from Africa and the Middle East across to Europe and the Americas. The duo discovered a shared creative ground after their paths crossed a few years back, spanning gospel, jazz, blues, country and folk, and this is their first nationwide tour of Ireland. 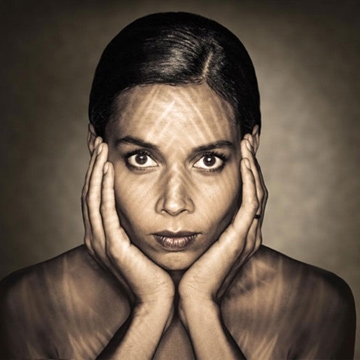 American musician Rhiannon Giddens is known as the lead singer, violinist, banjo player and a founding member of the Grammy-winning country, blues and old-time music band Carolina Chocolate Drops. Having previously won accolades and a Grammy Award as a member of the Carolina Chocolate Drops, she made her solo debut with Tomorrow Is My Turn, which was one 2015’s most highly praised albums. Defined a “musical alchemist” and a “musical polyglot” by the press. Francesco Turrisi left his native Italy in 1997 to study jazz piano and early music at the Royal Conservatory of The Hague, where he obtained a Bachelor and a Master’s degree. Francesco is also the leader and founder of “The Taquín Experiments” an ensemble that pushes the boundaries of contemporary jazz, world music and early music.